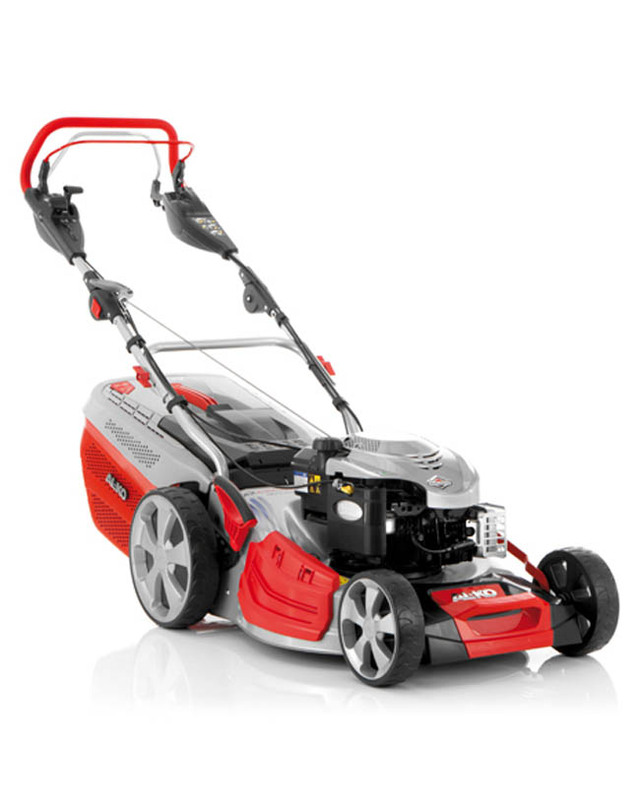 The AL-KO 523 VS is powered by a powerful 190cc Briggs and Stratton 675 EX Ready Start engine. Cutting width is 20.4”/51cm. This mower is self-propelled and is fitted with VarioSpeed drive which allows cutting speed to be varied from 2.5km/h to 4.5km/h to suit grass conditions. Operator comfort and convenience is ensured by the ergonomic control layout, all drive, forward speed and engine controls are easy to operate and are grouped on the strong, soft grip, adjustable folding handles. With the handles folded, the AL-KO 523 VS can be stored in a space saving position. * Delivery of the AL-KO 523 VS is included only to addresses in Norfolk and the Waveney Valley area of Suffolk. One of our own sales engineers will deliver and install this machine. We provide full aftersales support to all AL-KO products we sell from our branches at Horstead, Norwich and Toftwood, Dereham.